How Shall the Dead Be Raised? 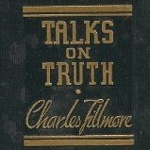 Talks on Truth (1926, revised and enlarged in 1934). This text deals with a variety of issues and themes. 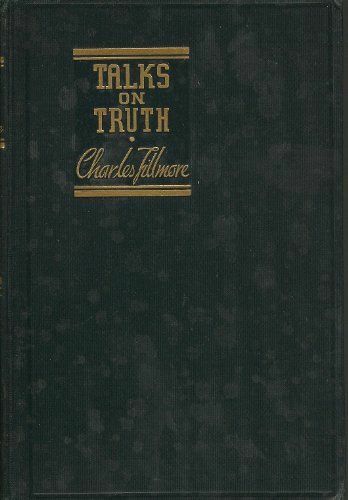 Its Forword describes the current form of the book as one designed to meet the "demand on the part of Unity students for books dealing with Truth fundamentals" (TT, Forword). It is further described as "a more adequate textbook for those who are seeking an understanding of esoteric Christianity" (TT, Forword). 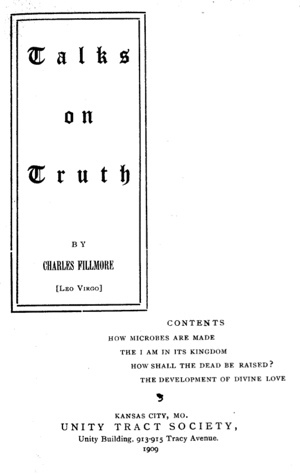 It is an interesting book in that it deals with many topics that are not presented in as much detail in other Unity texts from the Classical period — for example: microorganisms (Lesson 2), the church (Lesson 9), eschatology and apocalypticism (Lesson 11), and the Holy Spirit (Lesson 12). Lesson 13, "Attaining Eternal Life," offers an excellent study of regeneration, and Lesson 14, "Jesus Christ's Atonement," presents Unity's teaching on this primary Christian topic. This information is from a handout by Rev. Jim Gaither.